It’s the weekend, Christmas is approaching and so is the New Year. The good news for you is that I am not going anywhere this holiday, which means I will be blogging as usual. It’s been ages since the last free desktop wallpaper. 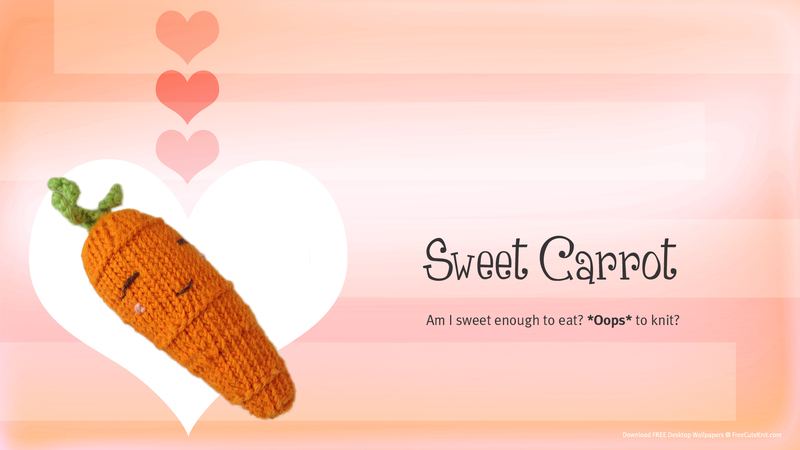 So here I present Sweet Carrot in high resolution below :). If you are looking for the free knitting pattern, you can find it here. Now, I shall get back to knitting my new scarf & finishing my frog coin purse video tutorials. Have a Fabolous Weekend, and Happy Knitting!